I always wished a story would unfold out of this album cover's photograph. 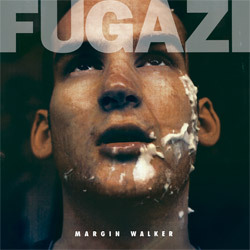 This is Fugazi's second release recorded in December 1988 with John Loder while the band was in England for a European tour. These songs were combined with the tracks from the band's debut 7 Songs EP and was released on the 13 Songs maxi CD. This 12" EP was re-cut and re-issued in October 2009 (with updated art) and comes with a free MP3 download.